I am so thankful to have been able to photograph one of my dear friend’s engagement, and later this year, her wedding day! I met Yolanda my freshman year of university and we quickly connected over our love of Broadway shows, everything vintage, and more. For the next few years at UVF we would share memories as a part of our theatre program, and she even taught me how to knit and play the ukulele! I am so crazy blessed to know this girl. Hector, who also attended UVF, is perfect for her; kind, hilarious, chill, and just an awesome guy all around. I cannot wait to see what the future holds for these two. 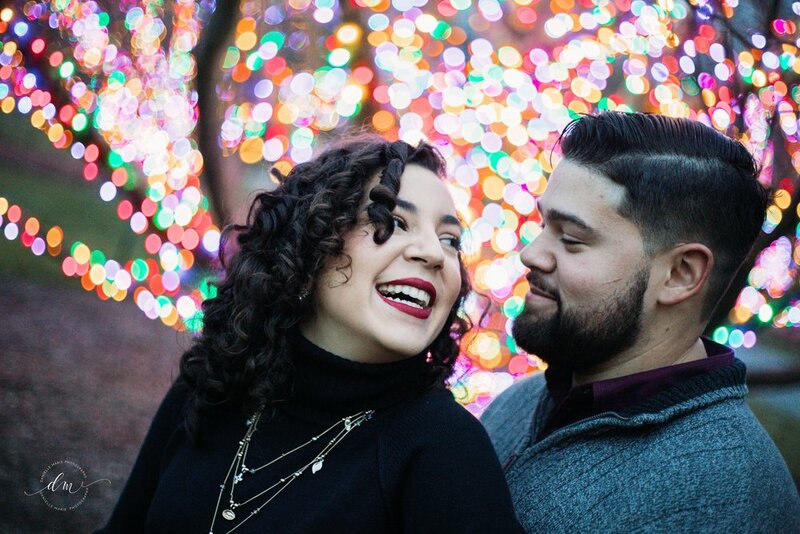 I was so nervous to shoot Hector & Yolanda’s engagement session, I wanted it to be as perfect as they are! Night photography is not my normal style, and not where most of my experience lies. Thankfully, they reassured me that the loved night photos and that they wanted to do an evening session at Longwood Gardens. 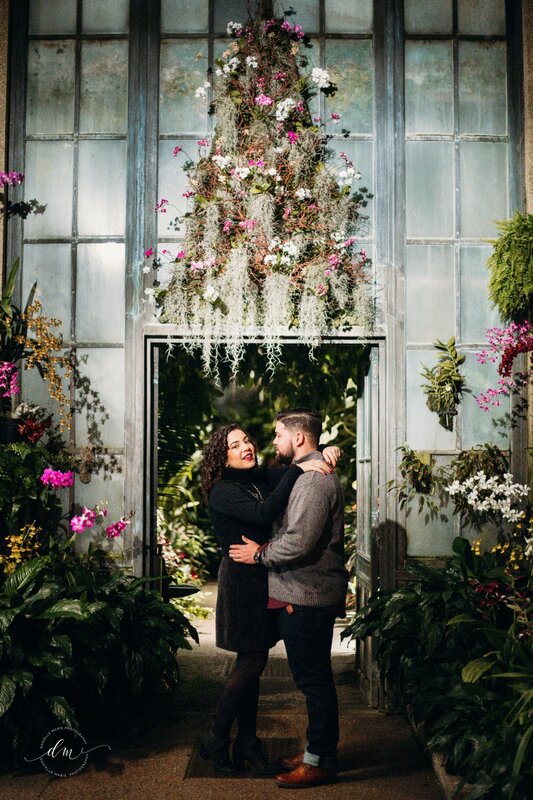 Please enjoy a few shots from this magical, botanical engagement!